Julia Caroline Ogilvy, a Master's of Theological Studies at Harvard Divinity School in Cambridge, Massachusetts. She and her husband, James, made a temporary move from their home in Scotland to Boston while she completes work on her degree. James Ogilvy is the son of Princess Alexandra and the late Hon. Sir Angus Ogilvy. He married Julia Caroline Rawlinson in July 1988 at the Church of St. Mary the Virgin, Saffron Walden. The couple met at St. Andrews University. 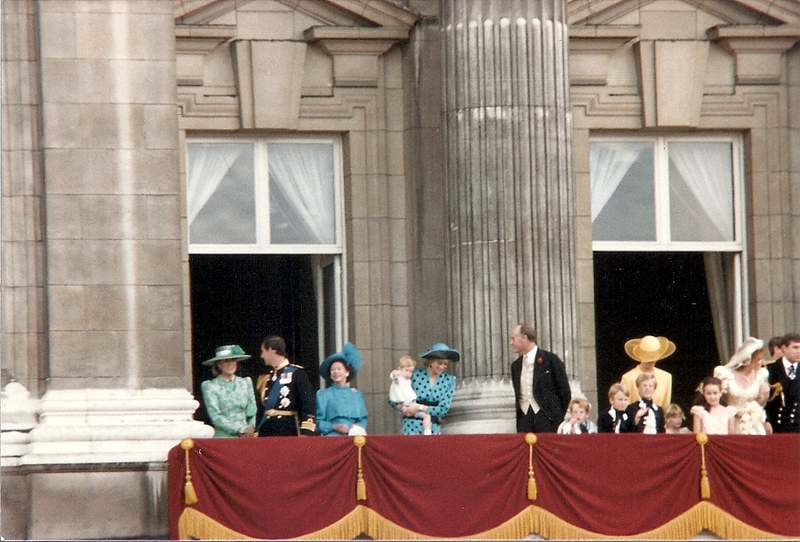 Queen Elizabeth II, a first cousin of James' mother, is one of his seven godparents. After working for several years in London, the young couple moved to Edinburgh, purchasing a Georgian home overlooking the Forth of Firth, with the profits of the sale of their Fulham home. The couple has two children, Flora (1994) and Alexander (1996). James ran the very successful magazine, Luxury Briefing, from an office at the back the house, while Julia, who once worked for Garrard. But after Garrard's parent company bought Hamilton & Inches, the premier Edinburgh jewelers, Julia was offered the position of Managing Director. James was already living at their new Scotland home when Julia accepted her new position. Within four years, Julia, with "a lot of investment on Asprey's part," was able to turn the firm around. She and three partners then staged a buyout of Annabel Jones, another firm, merging it into Hamilton & Inches. In 2003, she gave up her vaunted position to work with Sarah Brown, the wife of Gordon Brown, as a patron of Big Brothers and Sister UK. After achieving so much success in her life, Julia Ogilvy felt it was time to give back. She had spent time visiting council estates in Glasgow and Edinburgh and believed "more urgent action" was needed to combat poverty. New England is not unfamiliar to the Ogilvys as they have owned a summer home on Nantucket for many years. James now runs a landscape design business. Flora, 23, is the founder of Artviste, which promotes young artists. Alexander, approaching 21, is a student at Brown University in Providence, Rhode Island.